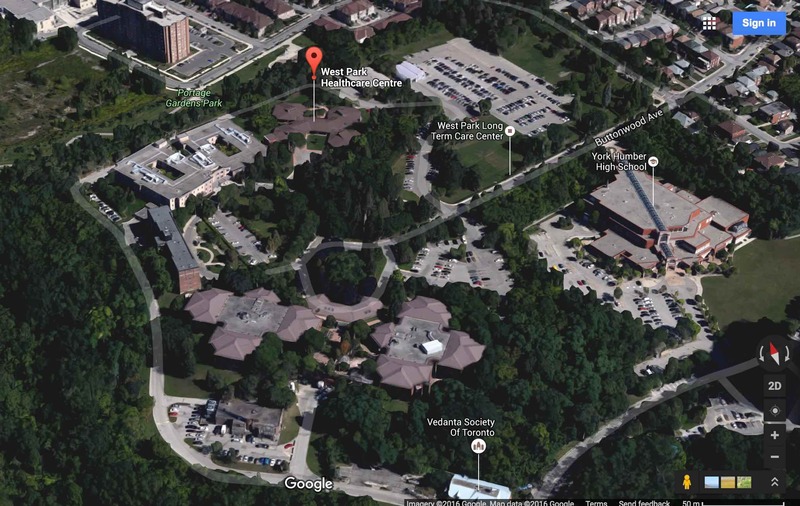 The West Park Healthcare Centre in Mount Dennis has asked for permission to change their campus quite a bit: one central building will replace three of the older buildings leading to “loss of the central lawn”, road building, and “potential impact[s] on the open space, natural heritage areas and trees on the lands”. The planning process has been going on since 2003, and a new building is justified on the grounds that the older buildings are not up to “contemporary standards of care”. In 2010, the centre received its first round of approval from the city. Still, the central lawn is one of the facility’s most striking features: I wonder if it was for sick tuberculosis patients to take the air back when the site was the Toronto Free Hospital for the Consumptive Poor. 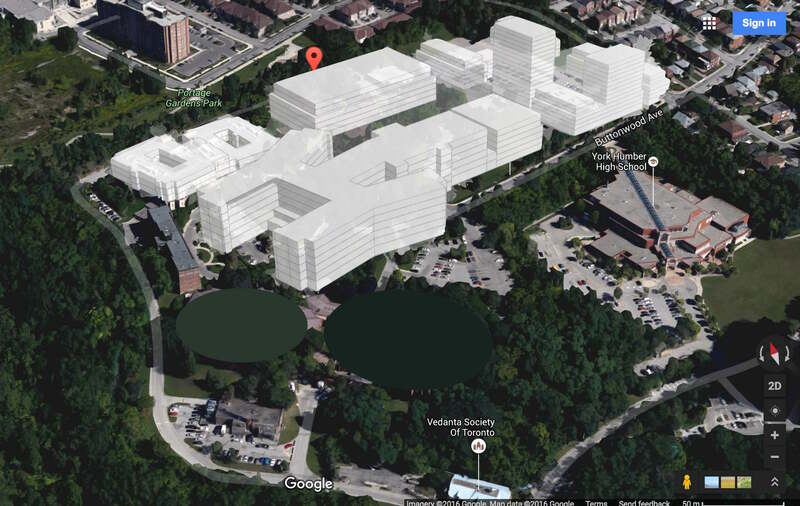 It would be a shame to lose it; the site also provides riverside greenspace, and a mature tree canopy. A meeting will be held on Tuesday, July 5 to discuss the proposal. I’ll update when I find out where it will be.